Are you interested in Alexandrite? Join us on Facebook and Twitter @tsarstone. 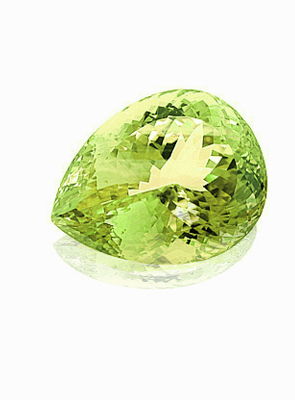 Multicolour Gems offers a wide selection of fine natural chrysoberyl gems, including alexandrites and cat´s eye among many other rare collector gemstones. David Wein offers classic and contemporary fine alexandrite jewelry from one-off pieces to statement cocktail rings as well as a custom alexandrite jewelry service. Alexandrite Encyclopedia is a non-commercial guide for people interested in learning more about the history, gemology and valuation of alexandrite gemstones. 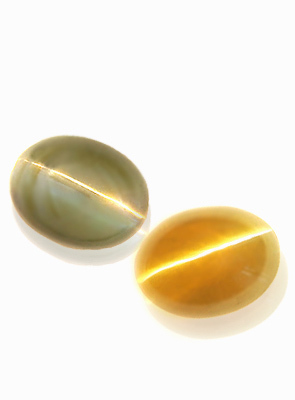 Looking to buy loose chrysoberyl gemstones? 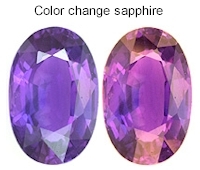 Color change sapphires are basically known to occur in two types; the ones that change from blue to purple and the ones that change from green to red. The stones that change from green to red are the ones that can be confused with alexandrite and they only occur at the deposit in Songea, Tanzania. Although the daylight colors are usually somewhat muddy, they can be very red under incandescent light and do look similar to some of the alexandrites from the same country. Because of their similarity to alexandrites, they are referred to as alex type sapphires in Japan. However, it is the color change garnets especially the ones from Bekily in Madagascar that most resemble alexandrite. The stones are actually a mixture of pyrope and spessartite and can show several colors depending on the light source. Although they look a lot like alexandrites they are different because they change color throughout the day. They are green or blue grey in the early morning and reddish in the late afternoon or in strong sunlight. Some of the stones are almost blue especially under fluorescent light but most of them are grey blue or green in daylight and change to red under incandescent or late afternoon light. The stones can show an excellent color change and can easily be confused with alexandrite. Without gemological tests, the stones can be distinguished from alexandrites by the needle like inclusions that are common in them or by the way the stones change color according to the time of day. Although they look like alexandrites, these Bekily garnets will appear red in the afternoon while the alexandrites remain green. 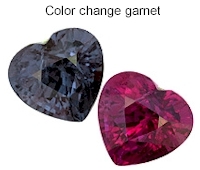 Garnets from other parts of East Africa also change color but as they normally change from brown or orange to red, they don´t look much like alexandrite. Where can I buy, test and appraise alexandrite? Fine alexandrites or alexandrite jewelry can be purchased from jewelers specializing in colored gemstones, at trade shows, at high end jewelry auctions, or online from websites specialized in alexandrite. A good appraisal takes time, expertise and a lot of experience especially with alexandrite. Jewelry stores who offer some sort of verbal appraisal aren´t doing their job properly and when appraiser´s first claim is that "you paid to much for that gemstone", then you are not getting an appraisal, but you are a victim of a practice known as low-balling. Your best choice is a professional appraiser from a major appraisal organizations, with standards of education and codes of ethics. 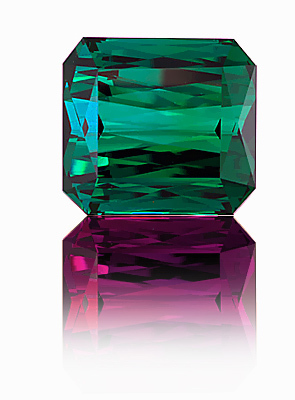 Alexandrite is a strongly pleochroic (dichroic) gemstone and will exhibit emerald green, red and orange-yellow colors and tend to change color in artificial light compared to daylight. Synonyms Alumoberyl, Chrysberil, Chrysoberil, Chrysopal, Delametherie, Crisoberilo, Krysoberril, Oriental Chrysolite Pacific Cat´s Eye, Cat´s eye, cat eye. Color Green in daylight and red-violet in incandescent light.